Leading a business-to-business (B2B) company today requires a level of intensity rarely before seen in the marketplace. The customers of B2B firms are making decisions and changing vendors or selecting solutions in a manner fundamentally different from what was historically the case. As a result, B2B CEOs need to be more aggressive, more strategic and more consistent in their ability to execute than ever before. 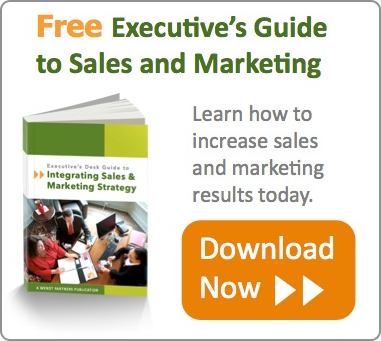 B2B businesses are selling to customers who face a wide range of demands and obstacles. These marketplace challenges require careful assessment and planning, coupled with precise execution, in order to achieve success. There are five core marketplace challenges your customers present today. First, they are often confused about how to select the best product, service or solution for their business. Technology is moving at lightening-speed, vendors are offering a dizzying array of options and advances, some more valuable than others. And buying processes are less consistent and more chaotic than ever before. Second, they (and you) are operating in an environment overwhelmed with competitors -- from acquisition-hungry multinationals building marketshare through the sheer force of financing, to nimble startups eager to radically disrupt your market. Third, customers are drowning in options thanks to market saturation. Too many products, services and solutions are competing for the same customer, which also leads to the fourth problem -- commoditization (yesterday's customized, high-value solution becomes today's run-of-the-mill, off-the-shelf selection). And finally, the inconsistent and continually retrenching American and global economies mean that your customers are as concerned about making the right choice as you are about selling the right product or service. In order to overcome these challenges and maintain a clear path to growth for your B2B company, you need to begin with the core components necessary to achieve and sustain revenue growth and business expansion. Research demonstrates that four core competencies are at the heart of successful business growth: sales (the ability to close new business), marketing (the ability to create and expand market awareness and lead generation/qualification), strategy (the commitment to a clear, focused and precise market position, backed by systems and processes that can ensure consistent execution), and leadership (the quality of the CEO and executive team as an aligned organization that effectively communicates and rapidly responds to change). Sales, marketing, strategy and leadership: These are the four focus areas that your team needs to harness in order to build a better business and achieve lasting growth in the B2B sector. These concepts may sound simple, but it quickly becomes clear that each of the four competencies requires specific knowledge and carefully integrated planning. In order to align all four of these capabilities in your organization, it may be essential to seek outside counsel and expertise to help you assess your current state and future priorities with a fresh eye and experienced perspective. Today's business-to-business (B2B) selling environment is radically different than the one many sales professionals encountered just a few short years ago. Your prospects today are more time-pressed, less process-driven and more informed than ever before, and they are making faster decisions on tighter budgets, while looking at a wider range of vendors and options. That's why B2B sales strategy assessment begins by examining lead generation strategies, reviewing the sales process and lead qualification methods, benchmarking your CRM system's effectiveness and capabilities, and examining not only your inside and outside sales teams and cultures, but also your sales training, coaching and evaluation processes. Many B2B CEOs historically viewed marketing as the 'awareness' process and sales as the 'deal closing' process, but today -- with 90% or more of your prospects beginning their search for solutions online -- marketing is now the primary home for lead nurturing and pre-sales qualification and engagement. This needs to be reflected in every aspect of your B2B marketing strategy, from your strategic marketing plans and value proposition to the differentiation strategy and messaging/positioning platform. We also need to examine and assess the strength and integration of marketing execution -- from brand strategy and identity to B2B social media and web, video and mobile marketing. The business strategy for your company is often the most critical lynchpin in the overall growth model. The more focused you are on serving clearly defined target markets, and the more effective you are at building, protecting and advancing your competitive differentiators and value proposition with those segments, the longer your runway to build and finance growth and expansion. The business plan itself will be the foundation upon which you will build a facilitated and aligned team, and the review will also examine operational assessment, market opportunity analysis and the potential that areas or aspects of your business would benefit from repositioning, restructuring or turnaround in order to ensure that all divisions, segments and departments in the company are strong enough to support effective growth. Each of these is a critical component in your B2B business strategy. Careful planning and development of the executive team is often the most overlooked component of growth strategy. This is often due to the legacy of a 'superhero CEO' who may relish her or his personal involvement in every detail, or the haphazard nature of organic growth in a constantly changing business environment. Regardless, growth strategy cannot succeed without a solid foundation in leadership excellence. During the StrategyFirst process, it will be important to examine and review executive coaching; training and development; employee culture; mentoring programs for internal development and new-employee onboarding; and the nature, scope and effectiveness of leadership communication from the CEO to all corners of the organization, through effective B2B leadership strategy. In order to evaluate these four key elements in the context of your B2B business growth strategy, we utilize a range of proven strategic assessment methods covering sales, marketing, strategy and leadership. In addition, every StrategyFirst assessment includes an opening and closing strategy meeting exclusively with the CEO, and a midpoint workshop with your executive team, all focused specifically on your B2B growth strategy. By taking this time to focus on the B2B growth strategy for your company, you can position your firm to achieve successful and sustainable growth this year and well into the future. The StrategyFirst Action Assessment will provide you with specific benchmarks and findings; a clear roadmap for achieving near-term goals; a summary action plan you can begin using right away; and recommendations for strategic decisions or opportunities that can guide your ongoing growth and business success. Growth-stage and midmarket B2B companies see concrete client results including improved market penetration, faster sales cycles, better customer engagement and stronger revenue growth. If you're ready to succesfully drive results and lasting scalability for your growth-driven B2B company, contact Wendt Partners and take this time to learn how you can reach those objectives through the StrategyFirst Action Assessment process. 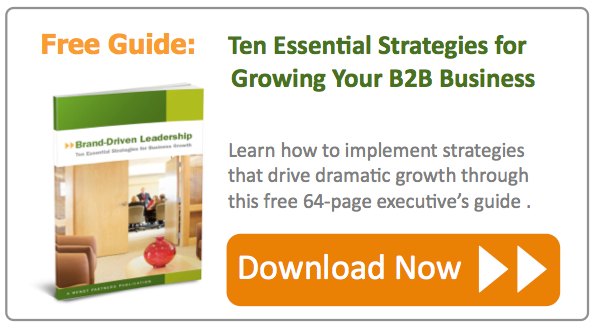 Or, download the guide noted below to learn about the ten proven strategies at the heart of successful B2B business growth.